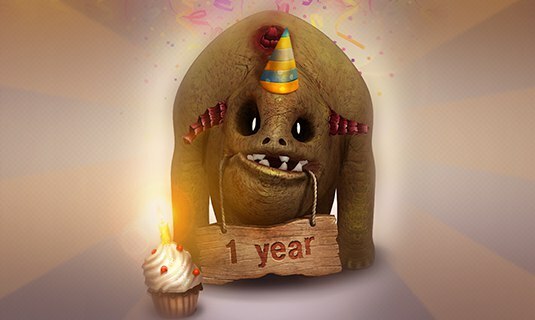 Dear friends, on November 3-th team Heart beat Games celebrates its first birthday! During this year we have significantly grown and learned a lot. We are proud of our projects, which were able to develop this year — «Endless TD - Savior of the humanity», «Stars Dash» and rebuilded «Endless TD — Spring Season». In addition to the release of games, we managed to visit and participate in various activities. In August, our team visited a conference for game developers - «GetIt» in Odessa. Our 2D Artist/Concept Artist Kirill Fialka made a presentation on: "Approaches and methods to develop the visual style of the game project." Also, members of our team were participants in podcasts and lecturers. Yuri Sysoev (Game designer) and Kirill Fialka (2D Artist/Concept Artist) were visiting Sergey Galenkin and Mikhail Kuzmin on the podcast #howtomakeagame, which discussed the theme of the visual style in games. Vladislav Boyarenko (Lead Programmer) gave a lecture in the «15x4, Share Your Knowledge» on the theme: "The creation of computer games." In the near future, our team plans to visit several major exhibitions and events, so follow the news. In future projects we plan to involve more active users that will form a great community! Also, we are planning to organize competitions, send a lot of promotional codes and organize voting, participating in which everyone will be able to affect the development process. And of course in the future you will see more exciting games! Our team is grateful to everyone who has been with us the whole year and provides support. The most important score for us - it is the opinion of our users. And we will continue to try to please you with quality games that will not leave anyone indifferent. Because our games make your heart beat faster!